The Centre and the Supreme Court engaged in a riveting verbal joust on Tuesday, with Attorney General Mukul Rohatgi, appearing for the Centre launching a scathing attack on the collegium system claiming that the Supreme Court tweaked the "original" Constitution over 22 years ago to give Chief Justice of India and the Collegium primacy over the government to appoint judges and the Bench headed by Justice JS Khehar hotly contesting Mr. Mukul Rohatgi's opening argument that there was not a word about judicial primacy in the original Constitution as drafted by the Fathers. Opening his arguments, Mr. Rohatgi submitted that independence of judiciary did not mean that the CJI and his collegium had the final say or primacy in appointment and transfer of judges. Describing CJI as one among the other apex court judges and under the constitution, it being “imperative to consult him on judicial appointments”, Rohatgi submitted before the bench that if any primacy was accorded to the views of the CJI, then it would destroy consultation with other judges as provided under the constitution’s article 124. Referring to the wording of Article 124, he said “consultation” with the CJI in the matter of judicial appointment should be treated as “concurrence” had not found favour even with the framers of the constitution in the constituent assembly. “CJI’s views does not have primacy when contrasted with the views of other judges of the apex court,” Rohatgi said. “If the primacy of CJI in judicial appointment was not there in the constitution or in the constituent assembly debates, the interpretation of the constitutional provision by the 1993 judgment (which accorded the CJI primacy) has to be re-heard by the nine judges bench,” argued Attorney General Mukul Rohatgi before a five-judge constitution bench which apart from Justice Khehar also comprise of Justices J Chelameswar, M B Lokur, Kurian Joseph and Adarsh Kumar Goel. The Supreme Court however did not agree with Mr. Rohatgi’s submission on the challenge to the NJAC Act being referred to a larger Bench. The Court wanted to know from the AG why he wanted to contest the nine-judge judgment when it was not the subject matter before it. Justice Khehar said his Bench is sitting to decide the validity of the NJAC law "and here it is not enough to prove that 1993 judgment is wrong". "According to us, your argument on nine-judge bench judgment has no meaning on the hearing of this matter," the Bench remarked. "When the 1993 judgment came and later in the Presidential Reference, Government was the first one to agree about judicial primacy. You accepted this as your final position.. You can't change your position everyday." Justice Khehar remarked. Justice A.K. Goel joined in from the bench, asking the Centre "what is the compulsion now to change your stand... are you saying we were wrong in 1993?" "It would be unfair not to allow me to question the correctness of the nine-judge bench judgement. How can I be stopped from challenging that judgment when everybody on the other side has referred to it," he contended. "The President has substantial say on appointments and on two occassions we know even when there was no reconsideration, the President appointed," the bench said. Rohatgi said the CJI cannot be a collegiate of collegium and it is also not binding on the President. “You have to see that at no point of time it impinges upon the independence of judiciary," the bench told the Attorney General said adding that even the basic structure of the Constitution needed to be protected. "The citizens of this country are not concerned with who will be the CJI. The concern is only the stakeholders will not participate in the process. The concern is justice is discharged in an unbiased manner." However, the bench said he has to show that the NJAC will provide independence to judiciary as "in the nine-judge bench judgment there is a dilution of CJI's power as he cannot do anything himself but through consultation". "But 20 years have gone by... such a stand by the court now is very dangerous," Mr Rohatgi said, to which the Bench retorted, "You are the one which is dangerous if you keep changing your positions" . The nature of the oral remarks from the Bench today combined with the combative mood of the judges suggest that the court is not in favour with the Centre’s submission that the petitions challenging the NJAC Act be referred to a larger bench. The NJAC, which was notified by the government on April 13, replaces the 23-year-old Collegium system with NJAC deciding the appointment of judges to the Supreme Court and high courts. 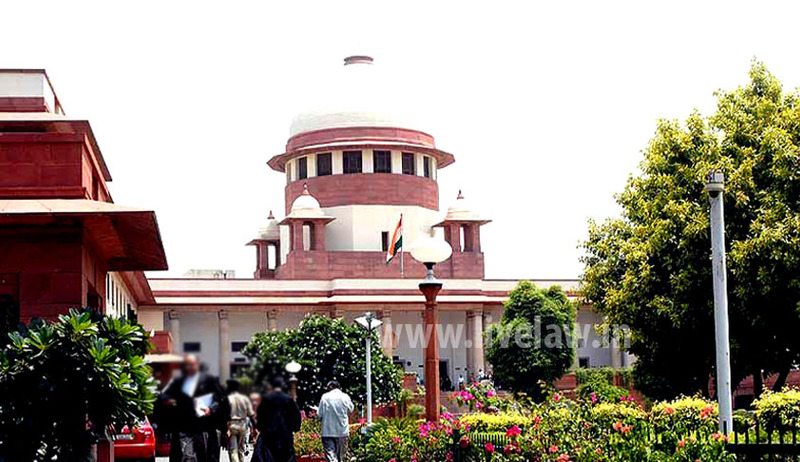 Under the Act, judges of the SC and HCs will be appointed by a six-member panel headed by the Chief Justice of India (CJI) and comprising two senior most apex court judges, the Union Law Minister and two eminent persons, who will be nominated by a panel consisting of the CJI, the Prime Minister and the Leader of the Opposition in the Lok Sabha. Every appointment will have to be approved by at least five NJAC members: dissenting vote of two members would be sufficient to veto a proposal. The implementation of the Act would depend on the outcome of the batch of PILs challenging the Act. The hearing of the case will continue tomorrow. Read more news about NJAC challenge here.